Juicy steaks, crispy chicken tenders — there's a lot to love about being a carnivore. But there's a dark side to eating meat. Here are 10 reasons to consider cutting back. A 2012 federal report obtained by the Environmental Working Group found that half of supermarket meat sampled was infected with antibiotic-resistant and potentially lethal microbes (turkey and pork were the most likely to be infected). At least 2 million Americans fall ill from antibiotic-resistant pathogens every year, according to the Centers for Disease Control and Prevention. And 23,000 of them die as a result of these infections. Animals raised for slaughter consume more than 30 million pounds of antibiotics per year, and the overuse of antibiotics in livestock farming is a major contributor to antibiotic resistance. Unless raised 100% organic, cattle and sheep are given hormones and steroids to facilitate rapid muscle growth and development. Exposure to hormones in meat has been suspected as the cause for early puberty in adolescent girls, but large-scale studies have not been conducted to prove this theory. Still, the controversy over the safety of growth hormones rages on. In 1989, the European Economic Community placed a ban on hormone-fed meat due to consumer outcry about the potential risks of drug residues. 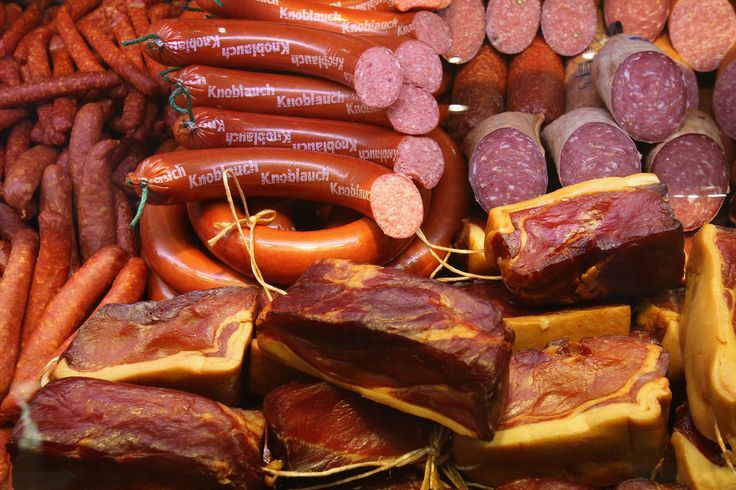 The ban prevents U.S. meat from being sold in Europe, which the USDA has challenged. Would you like your chicken with a side of Prozac, Benadryl, arsenic, acetaminophen or caffeine? In 2012, scientists from Johns Hopkins Bloomberg School of Public Health and Arizona State University examined feather meal from slaughtered poultry to find it contained a variety of drug residues — including several antibiotics banned by the FDA for use in poultry since 2005. Why? Prozac, Benadryl and acetaminophen reduce chickens' anxiety levels, and caffeine keeps them awake so they eat more. As for the arsenic? It gives chicken flesh its appetizing pink color. Cholesterol and saturated fat can raise your blood cholesterol and increase heart disease risk, according to the American Heart Association. All animal products contain cholesterol — including chicken, beef, eggs, milk and cheese — whereas foods from plants contain none. Animal products also contain saturated fat, which causes the liver to produce more cholesterol. When you reduce your cholesterol level by one-third, you reduce your risk of a heart attack by two-thirds. Nearly 107 million Americans have cholesterol levels over 200, just shy of the average level of coronary artery disease victims. Cooking meats at high temperatures can create cancer-causing chemicals. A 2009 University of Minnesota study found that people who ate well-done meat often were about 70 percent more likely to get pancreatic cancer than those who ate it rarely or never. "Vegetarians are about 40 percent less likely to get cancer than non-vegetarians, regardless of other risks such as smoking, body size, and socioeconomic status," according to the Physicians Committee for Responsible Medicine. Researchers from Harvard found that daily meat eaters are 3 times more likely to get colon cancer than those who rarely consumed meat, and for prostrate cancer, the risk is 2.5 times greater. Countries with diets high in animal fat have a higher incidence of breast cancer. Meat eaters have a longer "bowel transit time" (how long it takes for your body to make waste of the food you consume) than vegetarians. According to a 1981 British Journal of Nutrition study, the average bowel transit time for the meat-eating group was nearly 24 hours longer than the vegetarian group. There is an established link between high animal protein consumption and mortality risk. In 2012, the Harvard School of Public Health found that among 120,000 people followed since the 1980s, those who consumed the most red meat had the highest risk of death. Worse still, if they consumed even one additional serving of red meat per day, their risk of death rose by 13 percent. Livestock production is harmful to the planet's land, air, water and natural resources. It is one of the most significant contributors to land degradation and desertification of the world — in fact, almost four-fifths of the Amazon rainforest has been destroyed for cattle ranching. The enormous amounts of manure and urine produced by animals contribute to climate change and pollution. Eighteen percent of global greenhouse emissions (9 percent carbon dioxide, 37 percent methane gas) are attributed to livestock production, according to the Livestock, Environment and Development Initiative. Methane is a gas that traps heat in the atmosphere and causes the earth's temperature to rise. Meat is a very inefficient way to feed the world's population. It takes 16 pounds of grain, 211 gallons of water, 298 square feet and 4,144 BTUs of fossil fuel energy to produce a single pound of beef. That's enough energy to power a 40-watt light bulb for 25 hours! In fact, one-third of the world's grain harvest is used to feed animals instead of people. “If all the grain currently fed to livestock in the United States were consumed directly by people, the number of people who could be fed would be nearly 800 million,” said ecologist David Pimentel of Cornell University’s College of Agriculture and Life Sciences, as reported in the Scientific American. About one-third of the earth's land mass is used for cattle grazing, and one-third of the world's fresh water goes to livestock production — instead of growing grains, fruits and vegetables that humans can eat directly. It's your turn to chime in! Giving up meat completely may be a tall order for some, but it's very manageable to incorporate some meat-free moments into your schedule — like Vegan before 6." Are you a vegetarian, a die-hard carnivore, or somewhere in between? We'd like to hear why. Let us know in a comment below!